Man admits he left 14 grams of meth in car parked by courthouse. HART – A 27-year-old Twin Lake man faces an 18-month prison term after he parked his car outside the Oceana County Courthouse with 14 grams of methamphetamine inside it. 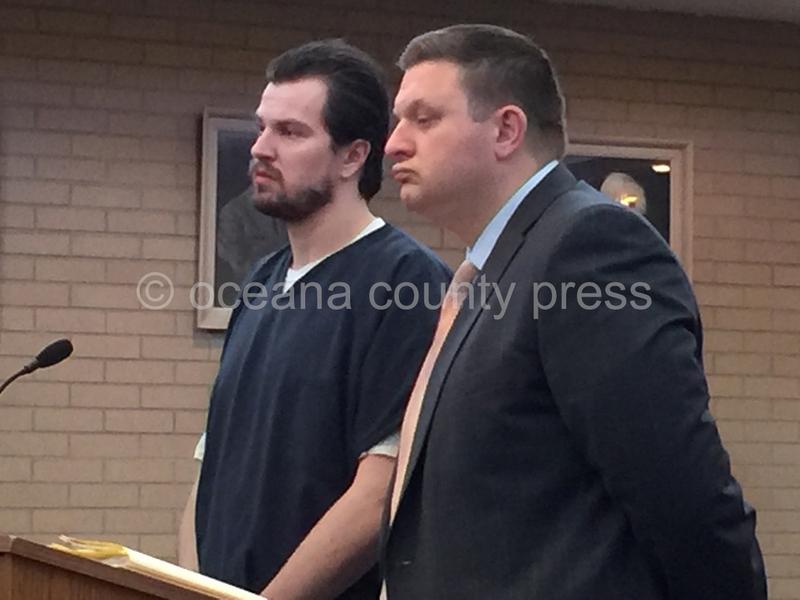 Daniel Peter Sampson-Phillips, of 2111 W. Creekwood Dr., testified before Judge Robert D. Springstead Monday, April 8, that he reported to the Oceana County Courthouse last fall to appear for a contempt of court charge. After he was arrested and his car was impounded, it was found to have a large quantity of methamphetamine inside of it. Sampson-Phillips pleaded guilty to meth possession and fourth-offense habitual offender. Oceana County Prosecutor Joseph Bizon is recommending 18 months in prison. Due to his habitual offender status, the maximum penalty for his crime was elevated to life in prison, Bizon said. However, sentencing guidelines in the case are five to 23 months.